What are Easter’s traditional Easter foods in Europe? We selected the most popular foods in 7 European countries. 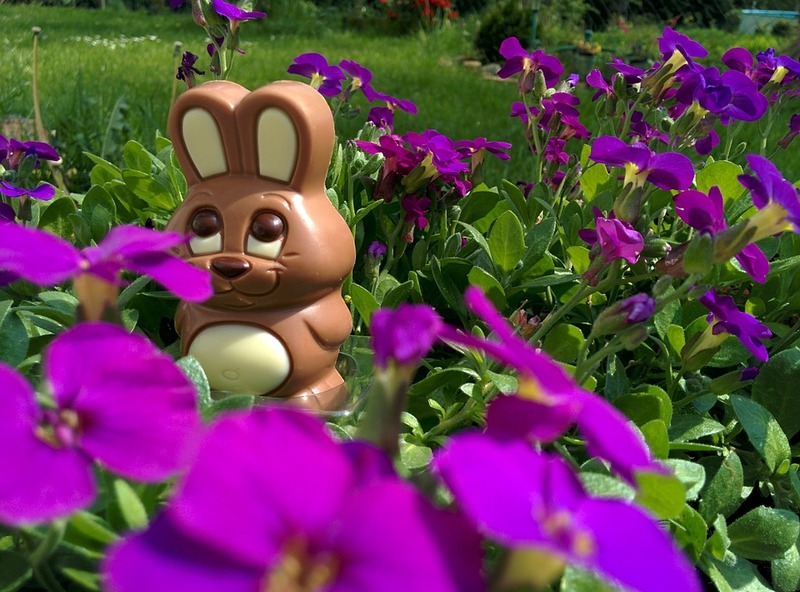 Find out where the Easter Bunny comes from, the story behind France’s chocolate bells and other Easter delights in Europe. You can’t go to the UK during Easter without being confronted with these sweet little candy eggs. These chocolate eggs have a creamy filling that resembles the egg white and yolk. They are the best selling confectionery in the UK over Easter. On Easter Sunday, British children hunt for the eggs the Easter Bunny hid in their homes and gardens. 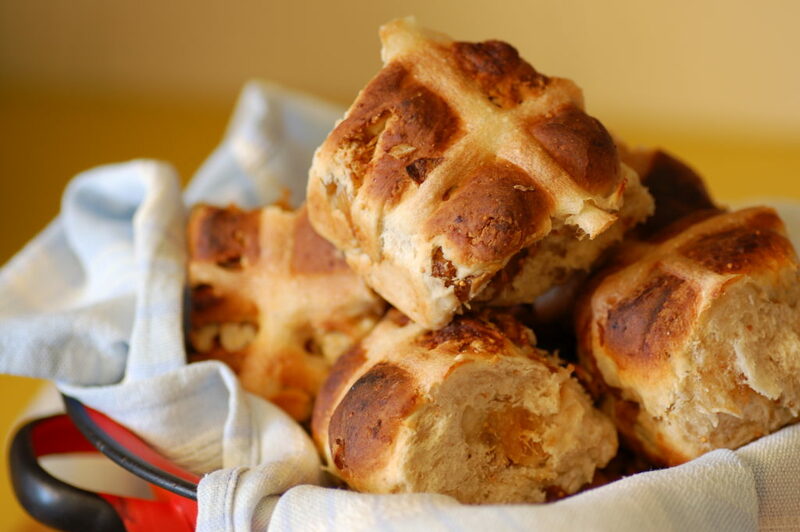 They were first to be served on Good Friday, but now hot cross buns are eaten throughout Easter. They are small, sweet yeast buns that contain raisins or currants and sometimes chopped candied fruits. Thin crosses made of confectioners’ sugar icing are piped on top of the buns before baking. While they are usually eaten toasted with butter, you can find many other versions of these tasty buns. The Bunny symbol has its origins in Germany and the first edible Easter bunnies – made of pastry and sugar – appeared in the country in the early 19th century. German children still believe that if they are good, the Easter bunny will lay a nest of colored eggs for them to find. In the morning of Easter Sunday, the children go hunting for painted and chocolate eggs and other Easter presents. The tradition was brought to America by German settlers and the Egg-hunt continues to be a popular tradition in both countries today. 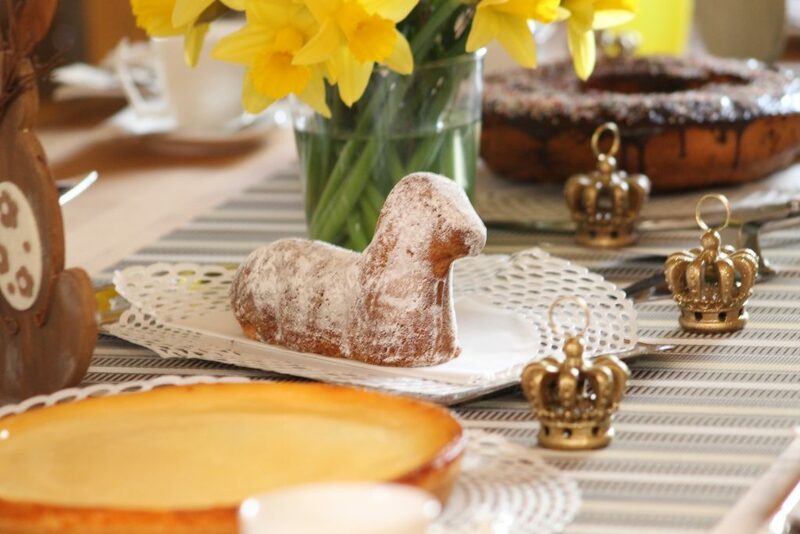 This traditional butter cake needs its special lamb-shaped pan to be made. But it can also be found in every bakery during Easter Season. There are many varieties going from simple confectioner’s sugar to chocolate and candy covered cakes. The lamb symbol in Easter has its origins in the Jewish celebrations of Passover, during which a lamb was sacrificed. Because the Last Supper took place in the evening of Passover, many Jews that converted to Christianity continued the tradition of eating lamb in Easter. Many Christians refer to Jesus as “Lamb of God”, symbolizing the sacrifice of the son of God for humanity. Children in Italy receive these oversized hollow chocolate eggs in Easter. It’s a moment of great anticipation as every Egg has a surprise inside – from a little toy such as keyrings to customized presents like car keys or even engagement rings. 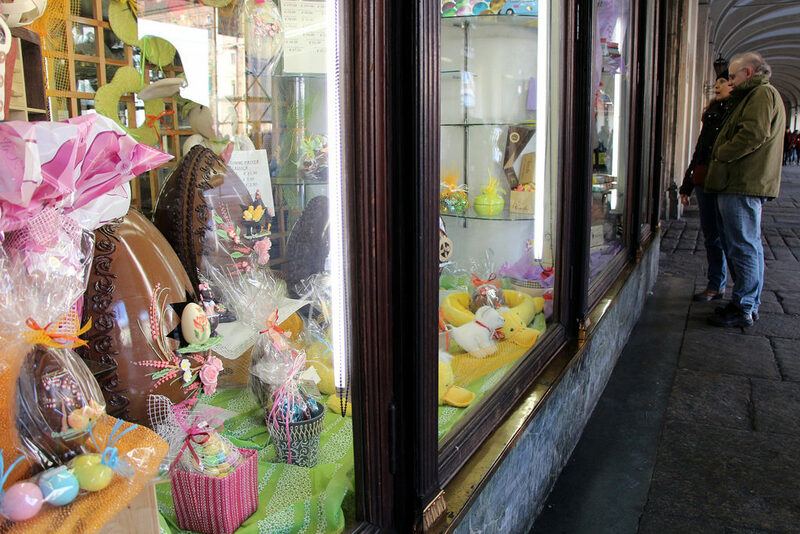 During this Season, shops are decorated with chocolate eggs of all sizes, shapes and colors. Some are covered in colored plastic wrap but the most impressive ones are those adorned with elaborate sugar embroideries. In 2012, Pope Benedict XVI was presented with a 6.5 foot tall Easter Egg, weighing around 550 pounds! 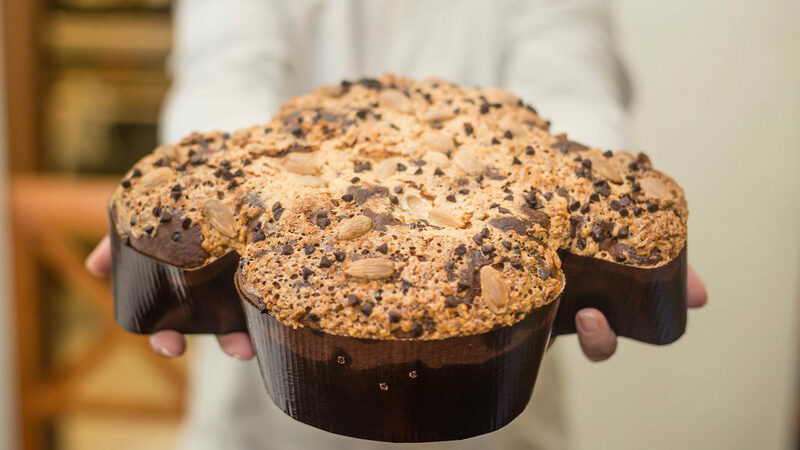 Colomba is a traditional Easter dove-shaped cake and it is often given as gifts to children. 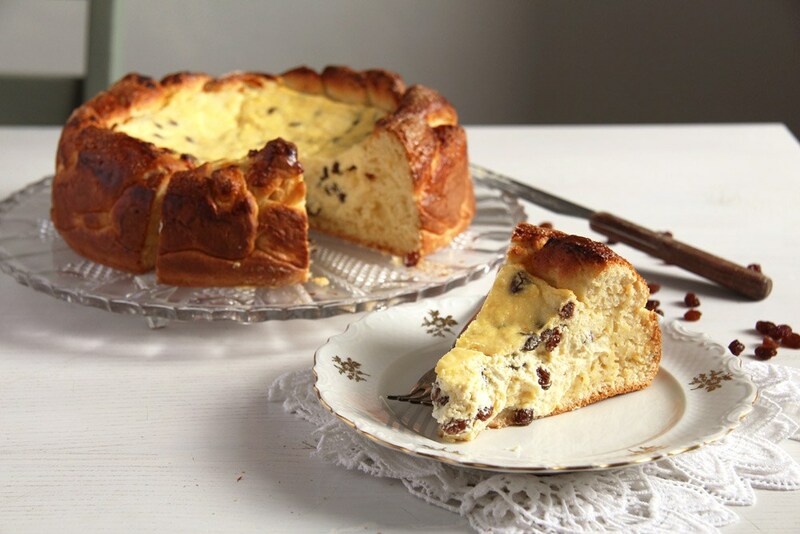 The recipe is very similar to Panettone, containing candied fruit but no raisins. The dough is shaped by hand into a dove and it is topped with sugar and almonds before baking. In Portugal, these little treats are more popular than Easter Chocolate eggs. 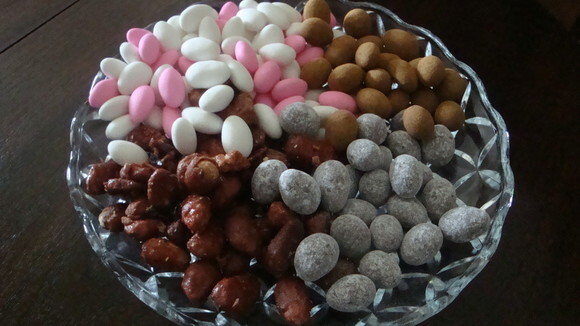 On Easter Sunday, children are given chocolate or sugar covered almonds by their godparents – at times the candy is also complemented by small money offers. 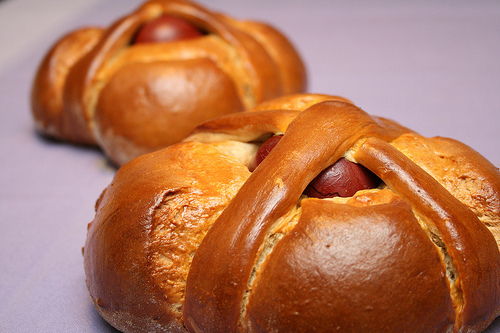 This traditional Portuguese bread is an essential part of Easter Sunday celebrations. The recipe varies from region to region and it can be salty or sweet. The sweet folar (pictured) is made with sugar, cinnamon and anise. In Southern Portugal it’s served with boiled eggs, representing rebirth and resurrection. The salty version is stuffed with veal, chicken, ham, sausage, pepperoni and other cold meats. The tradition says the godchildren should visit their godparents and ask for the Folar. The obligation to give the Folar to godchildren end when they become adults or when they marry. Today, this tradition is still active throughout Portugal but Folar is usually replaced by the chocolate covered almonds and, at times, a small money offer. This Easter dessert is made with a couple days old slices of loaf, soaked in milk (or Wine if in Seville) and beaten egg. It is then fried in olive oil and served with sugar and honey. 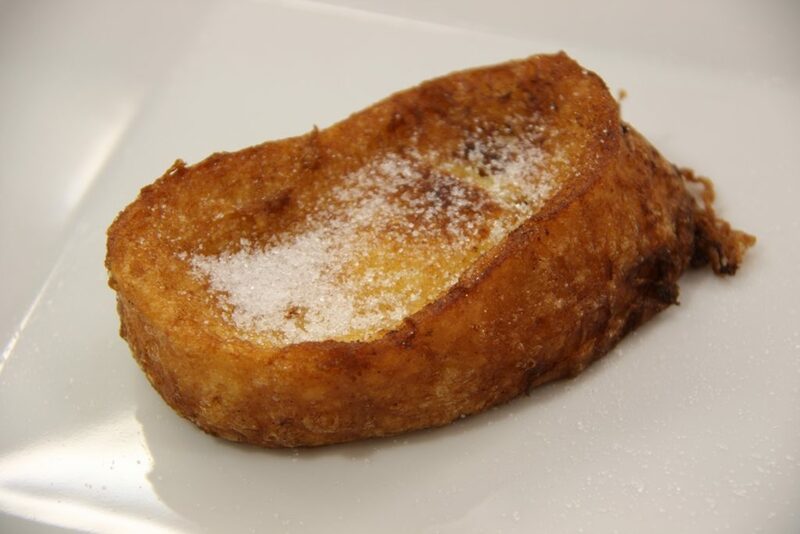 This Spanish version of the French toast is especially eaten in Easter. It is available everywhere during the Holy Week (Semana Santa in Spanish) and you can see many bakeries displaying this soft and rich pastry in their windows. In the early 20th century, torrijas were commonly eaten with white wine, symbolizing Last Supper. Today, they are considered desserts and are eaten all year round. Little sesame-flavoured flaky pastries deep-fried and glazed with honey or sugar. 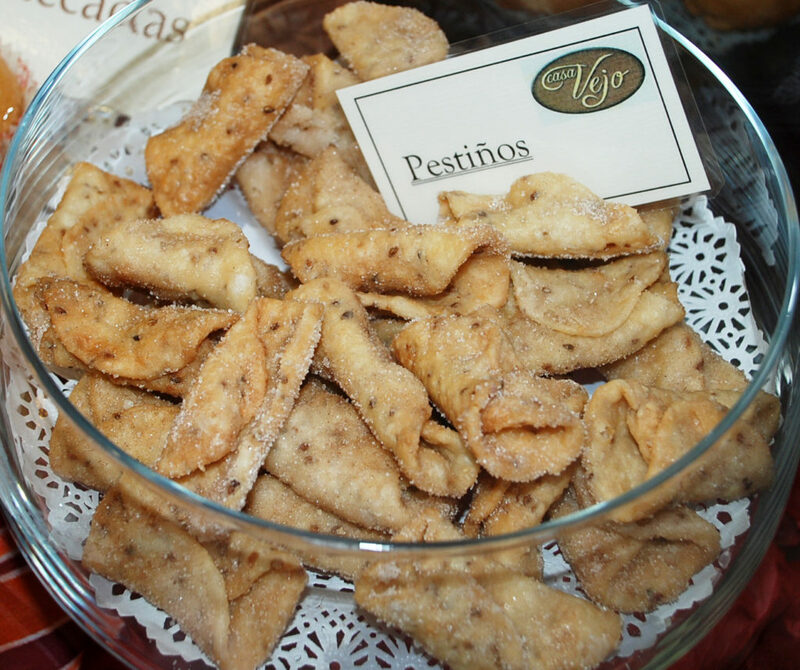 They are especially popular in the southern region Andalusia but are eaten throughout Spain. Like torrijas, these pastries are common staples in religious celebrations in Spain like Easter and Christmas. 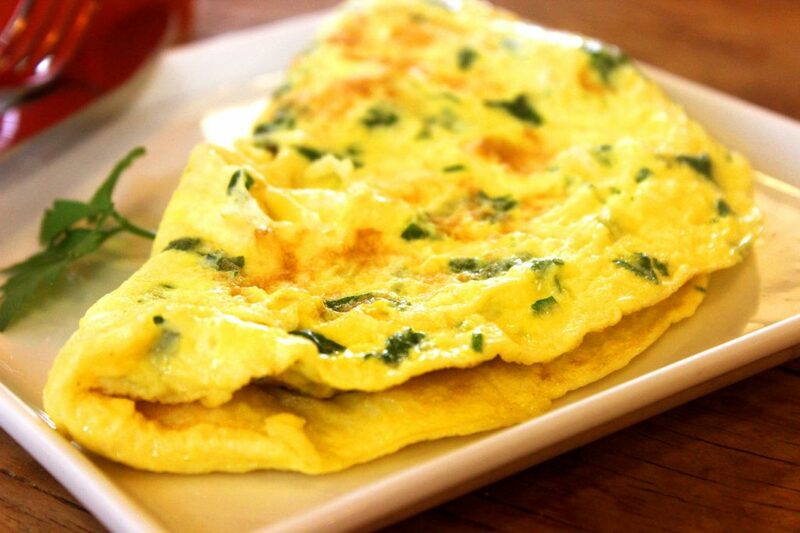 On Easter Monday the traditional meal in France is omelette. In the region of Brasseries, a giant omelette is prepared every year, made with over 5,000 eggs and in a 5-feet long frying pan. According to the Legend, when Napoleon Bonaparte was staying for one night in that region, he feasted on this culinary delight. He then ordered the townspeople to gather all the eggs in the village and to prepare a huge omelette for his army. The omelette became a tradition to feed the poor of the village at Easter. Like in many other countries in Europe, the children in France also hunt for chocolate eggs in the morning of Easter Sunday – but doing all the hard work of hiding the chocolates are the Cloche Volant (Flying Bells), instead of Easter Bunny. French Catholics believe that on Good Friday all the church bells in France fly to the Vatican to be blessed by the Pope and to mourn Jesus’ crucifixion. They then return on Easter Sunday morning and bring with them chocolate and eggs. 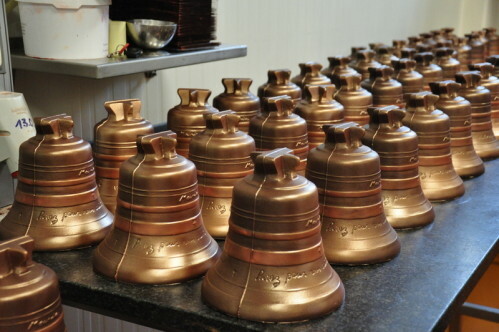 To keep the tradition, French church bells don’t ring from Good Friday to Sunday morning. Pasca is the traditional cake eaten by Romanians during Easter. It is made with a sweet dough for the base and with fresh cow’s cheese, sugar and raisins for the filling. The recipe can vary from region to region and the whole process – preparation, proving and baking – can take 5 to 6 hours. Pasca is usually prepared on the Thursday or Saturday before Easter and blessed at the church during Saturday’s evening mass. While you can see a variety of lamb dishes in every Romanian house during this time of the year, the most common one is drob de miel. 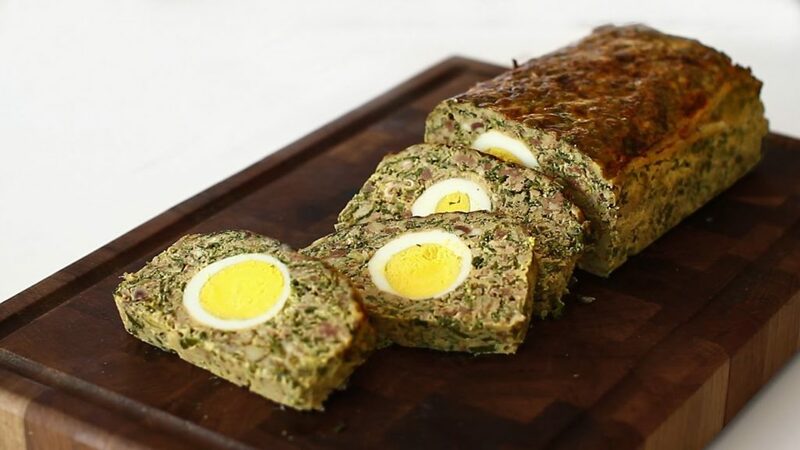 A meatloaf made of a mixture of lamb organs, green onions, herbs, and bread soaked in water or milk. Boiled eggs are placed in the middle of the loaf before going into the oven to cook. There are many versions of this Romanian Easter staple dish, some even made with chicken livers instead of lamb. In Romania Easter is an Orthodox holiday – around 88% of Romanians are Orthodox. And while Orthodox Easter can happen after Catholic Easter, in recent years, the two dates have regularly coincided.